Psychotic megalomania? Absolutely; but also a… university thesis – and even more: an official state policy! This aphorism might be the starting point of a synopsis about the official Turkish ideology on the national question. 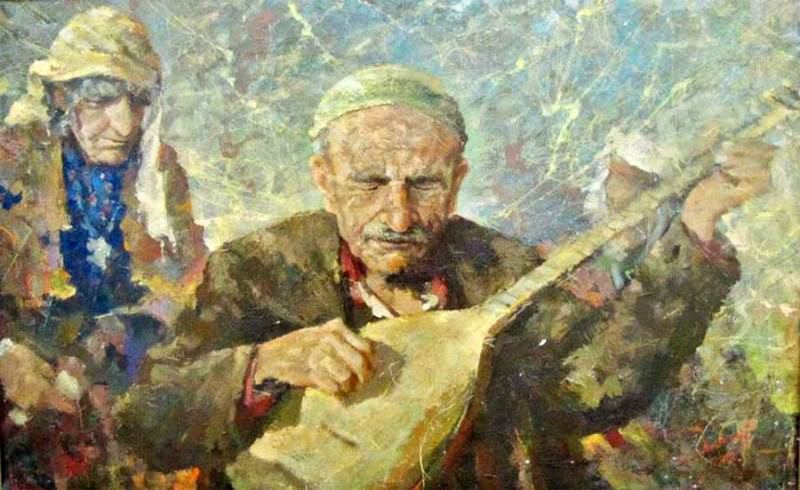 Almost everyone in the Eurasian zone – except perhaps the Hellenes, Persians and… barbarians – owe almost everything to the Turks: their very existence, their language and culture, let alone their music! “What about the Hellenes?”, some “Romioí” anxiously insist on asking, as they refuse to accept that they have either… never existed, or – most likely – are included among the “Romans” of the above mentioned citation quoted from the gold-bound kitabs of the sages. “The question on the origin of the Yunanlılar [Ionians] has been clear since the time of Homer”, is the smug reply. “The great rhapsode was also a Turk called Omer. 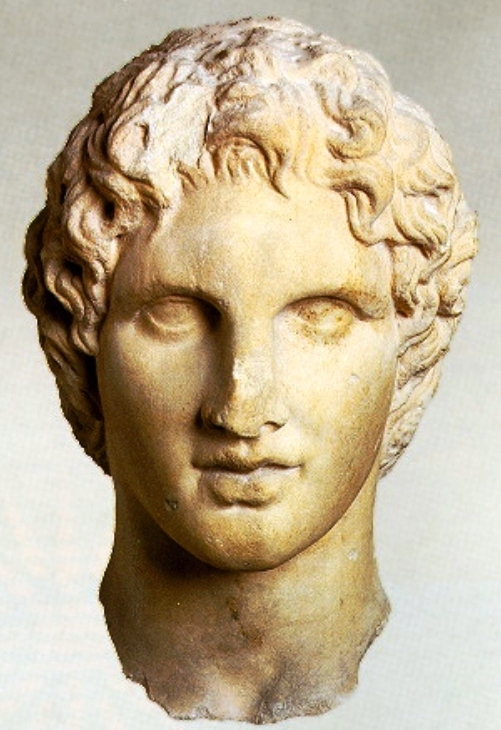 Besides, the Europeans have preserved his name almost intact: Homer”! Nationalism: “one country, one people, one language!” vs. Reality: the Anatolian mosaic of peoples-tongues. The Kurdish languages belong to the Iranian and Indo-Iranian branches of the Indo-European family. So, they are related to the Persian (Farsi), Indian Sanskrit, Hellenic and most European languages. Even… worse (for the Turkish “linguists”), all the ancient languages in the Anatolian area, still spoken or extinct, such as the Hittite, have also been Indo-European. Signed (unashamedly): İ.N. Dilmen, professor. d) Anatolia was invaded by the Seljuks in the 11th century, ultimately resulting in permanent Turkic settlement there. Hittite in central Anatolia; Palaic in Paphlagonia; the Luwian branch, centered in Cilicia but also extending northwest, where the Trojan language possibly belonged; the Lycian branch (including Milyan); as well as Carian; Sidetic in Pamphylia; Pisidian; Lydian; and possibly Lycaonian; Isaurian on the Taurus Mountains; Cappadocian; Pamphylian. Other Indo-European languages of Asia Minor were Phrygian and Mysian, probably being part of the Paleo-Balkan languages, together with Thracian, Dacian, the Illyrian branch, and others, indicating that the Phrygians, and possibly the Mysians, went to Anatolia from the Balkans. ● Nationalism shouts: “one country, one people, one language!” against Reality, which is this diverse mosaic of Anatolian peoples and languages described above. (b) This text makes clear that, according to Dilmen (and “linguistics” à la turca), there are no Turkic languages; they are all Turkish dialects. He defined e.g. Yakut (Sakha) as a dialect, although it is considered a language. Nationalist stranglehold on social sciences is very well known (Dilmen is a “good” example). That’s why there are no universally accepted criteria for distinguishing a language from a dialect. The most common and most purely linguistic criterion is that of mutual intelligibility. It seems logical but it’s far from scientific. (c) Note that Beşikçi was born a Turk, not a Kurd. So he deserves our admiration even more. (d) The on-going war between Turks and Kurds dates back to the Turkish War of Independence, which established a Turkish nationalist state that has repressed the human rights of Kurdish people. The Kurds felt betrayed because they had taken part in almost every “dirty job” of the Turks from the late 19th century to the 1910s, mainly in the first ethnic cleansings of the 20th century, as they thought that they “cleared” the place for themselves. The perpetrators of the Armenian, Greek, and Assyrian Genocides (1.5 million + 900.000 + 400.000 = almost 3 million dead) were Turks, Kurds, Arabs and Muslim Caucasians: in reality it was genocide of heterodox people by the Islamists. But the Turks were primarily nationalists; so, they also turned against the Kurds who then rebelled. Major historical events before the PKK revolt, include the Koçgiri, Sheikh Said, Ararat, and Dersim rebellions (1920, 1925, 1930, and 1938). “As a repressive state mechanism, this court threatens writers and intellectuals with imprisonment, favours police measures and secret trials, condemns scientific thought, prefers the secret services reports against truth and sociological findings, imposes verdicts without – at least – taking into account the defense of the accused and, using loopholes, accepts colonial oppression and tyranny, denying the reality of the existence of the Kurdish nation, which is an objective fact above the will of people and institutions. “This court essentially acts as an administrative and political body with a seemingly ‘independent function’ and ‘independent judgment’. It functions like the gendarmerie, police, national security service and other similar services, attempting to impose the hegemony of the official ideology through its verdicts. Rejecting an objective truth, your court is lying, considering the conclusions drawn by our systematic societal research, the reliable knowledge, and the rights we advocate, as incriminating evidence. “In its verdicts regarding my books, your court states that ‘the sacred memory of Atatürk is stained’. What does that mean? 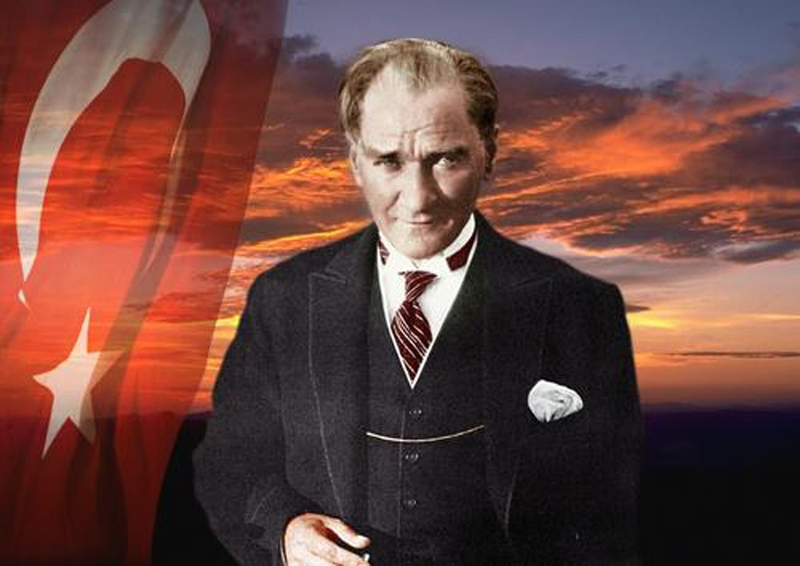 It means that the Kurdish masses – men, women and children – will be continuously sent to exile, to the gallows, will be slaughtered, that laws and decrees will be shamelessly adopted on this logic – but anyone who criticizes such phenomena will be tried on the grounds of ‘libeling the sacred memory of Atatürk’. How can one consider genocide, exiles, the complete assimilation enforced in Kurdistan by the Kemalist regime as ‘sacred memory’? The division and partition of Kurdistan, the implementation of the tactics ‘divide and rule’ against the Kurdish nation, may be ‘sacred memory’ only for the imperialists and colonialists. This trial took place in 1979, just one year before the so-called democracy was overthrown in a coup of the army, the mighty pillar supporting at that time the regime. More trials and convictions preceded and followed for Beşikçi. Even if he could live two or three lives, he would not have time enough to serve the 200 plus years in prison imposed on him in total. 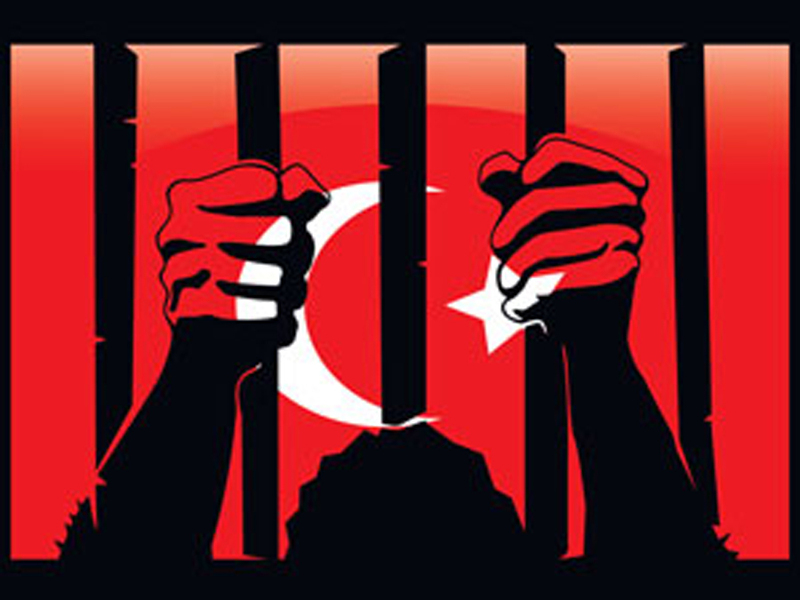 Released in 1999, he was sent back to court in 2010 – that is, even after the collapse of Kemalism – for “propaganda” because of an article entitled The Rights of Nations to self-determination and the Kurds, which cost him 15 extra months in jail. In January 1981, he sent a Letter to UNESCO from his prison, stigmatizing the decision of the Educational, Scientific and Cultural Organization of the United Nations to declare that year as The Atatürk Year. (e) A new conviction followed. Undeterred he continued sending letters from the dungeons to international organizations that, of course, ended up in the hands of Turkish judges who imposed new sentences. A letter to the Journalist Union of Switzerland e.g. cost him 10 years! (e) Kemal is the only person to receive such recognition by the UN so-called Educational, Scientific and Cultural Organization… Note that: a) education, science and culture suffered much because of his policies; b) the recipients of this recognition were in fact his heirs governing Turkey at the time: the military putschists; it was as if they were rewarded by UNSESCO for their… coup d’état in the previous year! But even in his trials (where we lose count, indeed) with his apologies (several of these speeches have been put together in his book, Defense), he persevered with remarkable courage and selflessness so as to defend the rights of the Kurdish people relying only on the public’s sense of justice – a sense that has ceased to govern even the actions of the “competent” international organizations. (f) He was nominated for the Nobel Peace Prize in 1987 but… what can one expect from a Nobel Committee that has awarded the prize to persons such as Henry Kissinger (1973), Menachem Begin (1978), Yitzhak Rabin and Shimon Peres (1994), Barack Obama (2009), and the neo-liberal European Union (2012) – but has not honoured Mahatma Gandhi? Certainly, it’s not me to blame for politicizing the issue of linguistics à la turca, as it is an issue profoundly political. Lay, if you will, the blame on Alain Gheerbrant who “cast the first stone” by paralleling Atatürk to Âşık Veysel (see Voyage 6). No doubt, the French researcher is not an isolated case: it constitutes the rule (that is why we take note of him); which means there are even worse cases. 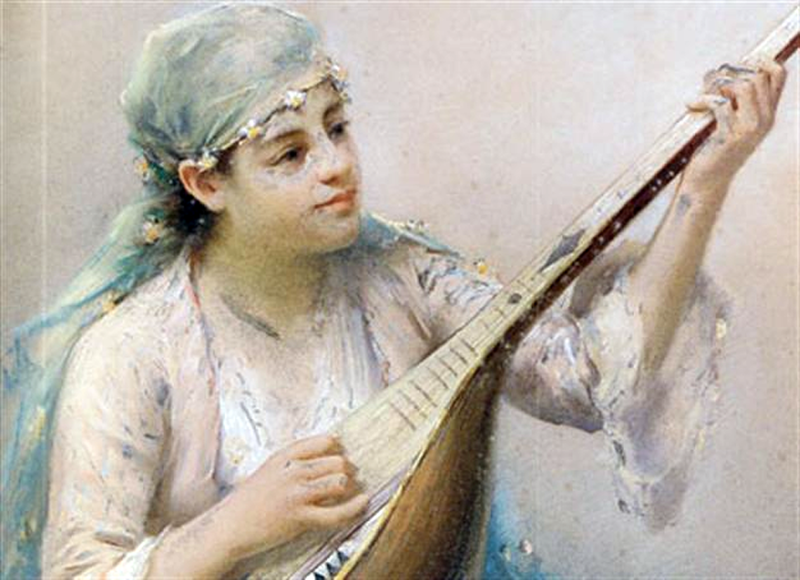 One thing, you see, is to credit “exclusively” the Turks with the music of Anatolia; another thing is to do the same with the music of Constantinople; especially if we bear in mind that the Ottomans described this music as Arabo-Persian; only after the Republic was established, it was called Turkish, or even Ottoman. 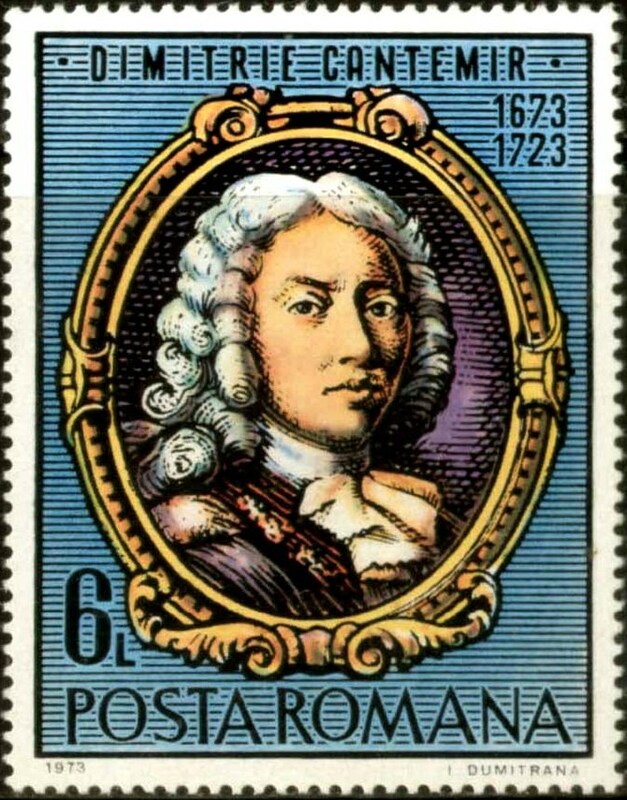 (g) Cantemir was a great intellectual (philosopher, musicologist, composer, linguist, ethnographer, geographer, historian), and prince of Moldavia where he learned Greek and Latin and acquired a profound knowledge of the classics. 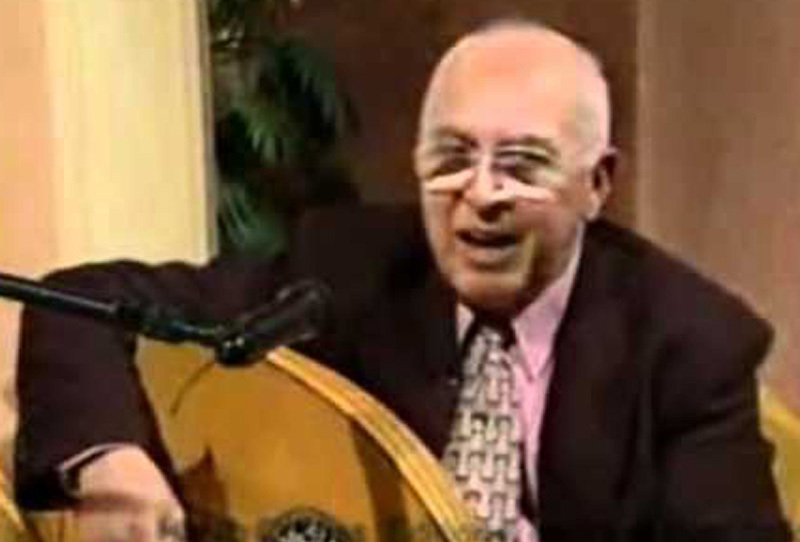 He lived in forced exile for 23 years in Constantinople, where he studied at the Patriarchate’s Greek Academy, wrote about music and also composed. 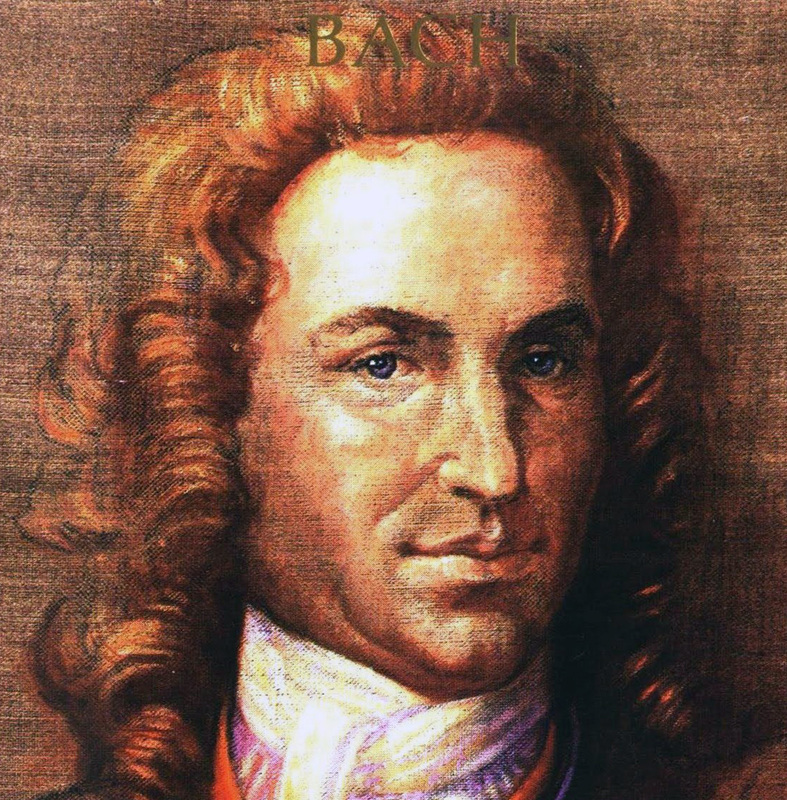 How is it possible to classify his music as “Ottoman” when the composer also fought against the Ottomans as an ally of Peter the Great in the Russo-Ottoman War of 1710–11? ● The Empire that substituted the once powerful Byzantine Empire after its downfall was Ottoman, indeed, as it was controlled by this tribe. But is this sufficient reason to classify also the music of post-Byzantine Constantinople under the same heading? My objection is due to the explicitly ethnic import of the term Ottoman as it means Turkish. On the contrary, the term Byzantine is supranational, referring in general to “the eastern part of the Late Roman Empire that, after the fall of Rome, continued as its successor until 1453”. 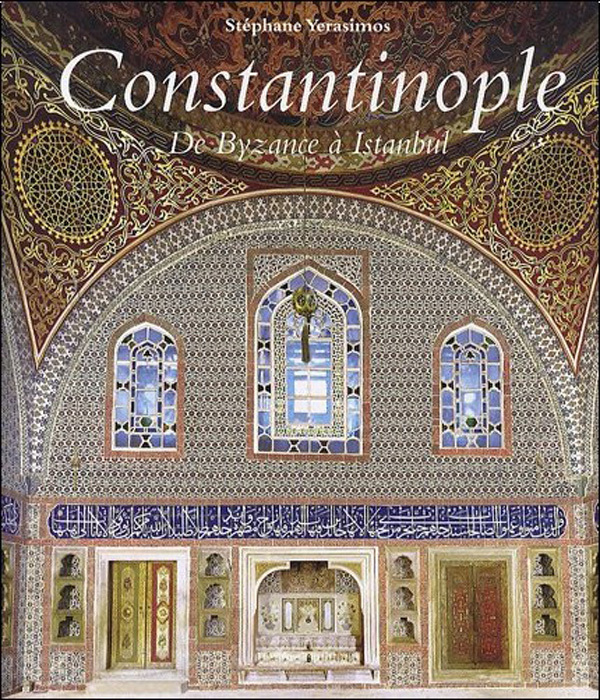 It is well known that in both these empires, the Byzantine and Ottoman, culture was a collective work of all ethnicities living within their boundaries. Ethnic identities can be found only in those cultures that have been cultivated by peoples distinguished for the originality of their contributions to human civilization. If e.g. there has been no Phoenician civilization, given that the Phoenicians were heavily influenced by the Egyptians, Mesopotamians and Hellenes, likewise there has been no Ottoman civilization either. Let alone that compared to the Ottomans, the role the Phoenicians have played, especially in the spread of the alphabet, has been far more important. “The melodic system peculiar to the Arabic-speaking peoples of the countries bordering on the Eastern and Southern shores of the Mediterranean is the result of a long evolution. It derives from the adaptation by the Arab conquerors of the ancient Greek, Persian, and Egyptian systems, which gradually developed into a unified and highly original art. The conclusions we can draw are quite astonishing, indeed: until the eve of their Empire’s downfall, the Ottomans – at least in the domain of music – were still under the influence of the empire they had abolished before half a millennium! It was natural that the Arabic-speaking peoples, then vassals of the Ottomans in the region, were equally influenced. In this way, the Byzantine echoe echoed and resonated throughout the Mediterranean: Christians were influenced through Byzantine ecclesiastical chant at least until the 11th century when, due to the Schism, Gregorian chant became obligatory for the Catholics; the Muslims of the Ottoman Empire were equally influenced – not by ecclesiastical chant, of course, but by the erstwhile secular Byzantine music. 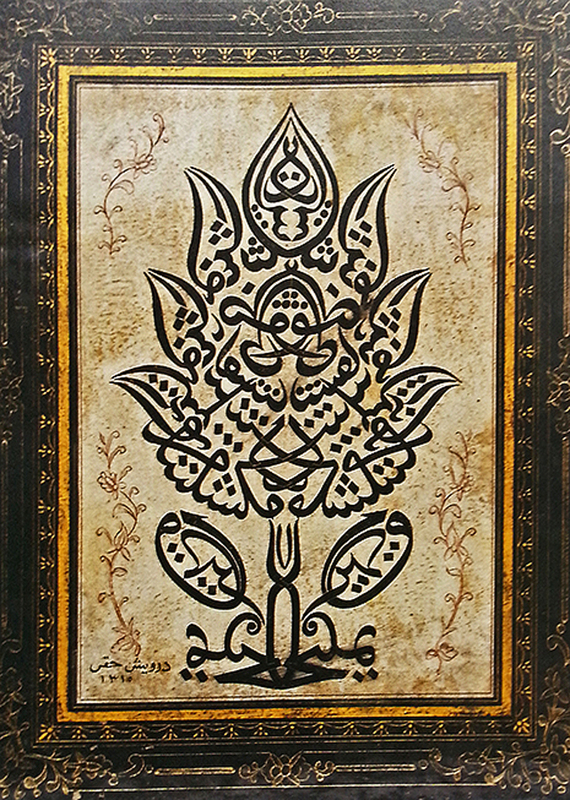 Persian influences may be considered natural, because the Iranians had already achieved their self-determination having their own independent state. 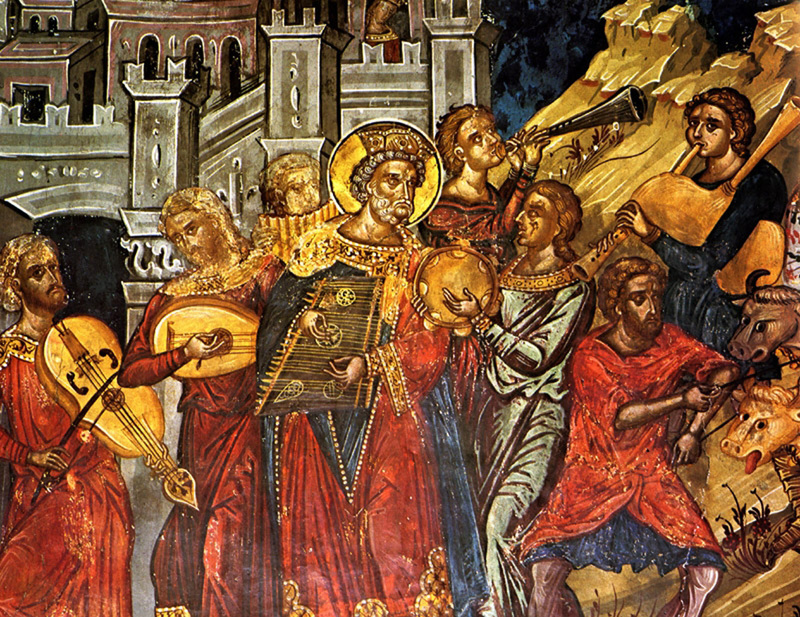 But what can anybody say about Byzantine music, especially secular, which – supposedly – ceased to exist as soon as the state that gave birth to it was erased from the map? How could it possibly influence the Mediterranean on the eve of the 20th century and even impregnate it with “fresh” musical elements? Trying to resume what Alain Daniélou and Rodolphe d’Erlanger have said, and the thoughts they have provoked, we can imagine a historical model as follows: the Arabs (those coming from the Arabian Peninsula), were cultivated adopting the ancient Hellenic, Persian, and Egyptian cultures. They knew, therefore, very well that their empire would not last long if they were not able to assimilate the civilized Mediterranean peoples they had conquered. breaking the ties of these peoples with their glorious past. Under the circumstances, this could only happen through religion, first of all, and secondarily, language. It was absolutely necessary for the Arabs to break the ties of these ancient peoples with their glorious past making them convert to Islam and – even better – adopt Arabic. That’s how they could exert undisputed control on their vast empire. All they needed was a combination of incentives and coercion. It was a rather moderate tactic compared with the one used for the Christianization of the Hellenes that was an outright violent campaign, a long, widespread genocide: see Chronicle 7*. “We Don’t Need No Thought Control!”). When the Ottomans took over the Caliphate, they also adopted Arabic culture that had sprung out like an amalgam from these ancient civilizations. Note that this synthesis started bearing fruit only in the 13th century, after Constantinople fell for the first time to the Crusaders and Venetians in 1204. No similar cultural renaissance took place during the Ottoman period. That’s why there were still “fresh Persian and Byzantine influences” onto the Court music and art until the last days of the Ottoman Empire. What exactly was the Ottoman contribution? It was not so much musical but mainly political – through this wide, unified area – allowing these influences to have a great impact on every corner of the empire. 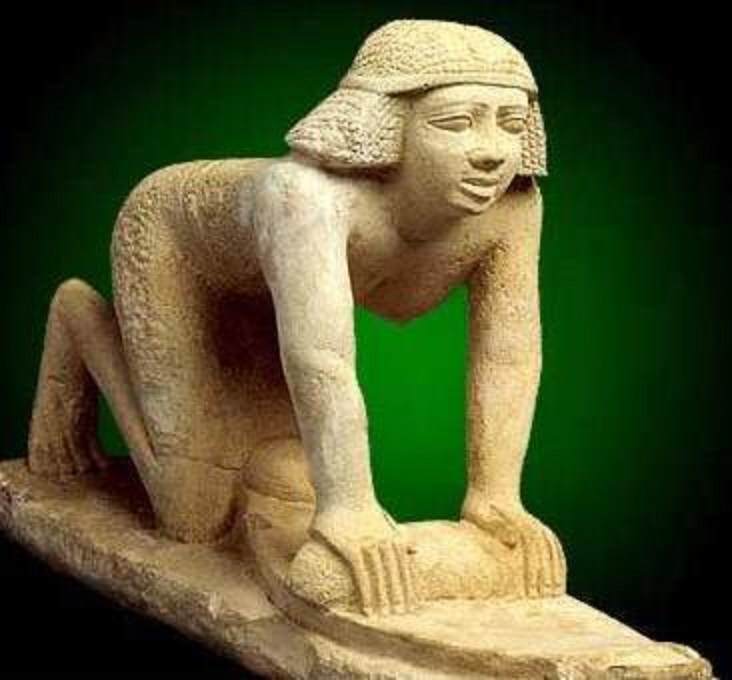 (i) Ancient Libya: The name referred to a) the region west of the Nile Valley, corresponding more or less to the modern Maghreb (North Africa except Egypt); b) the country immediately west of Egypt; or c) to the whole of Africa that was still more or less terra incognita. Herodotus wrote that the Phoenicians carried out the first periplus of “Libya” (Africa) on behalf of the Egyptians. Talking about the Libyan people, Mahdi most probably referred to the Berbers and the rest of the Maghrebis. “b) The Near East School; it is represented by the musical heritage of Syria, Lebanon, Jordan, Palestine and, of course, Egypt. In part, this school has influenced Libya and Tunisia, which thus participate in two schools, as they are found in between. The Near East School has been influenced by the old Turco-Byzantine music, extending to the Balkans and Caucasus. “c) The Arabo-Persian School; it is represented by the Abbasid musical heritage that was created in their great capital, Baghdad. 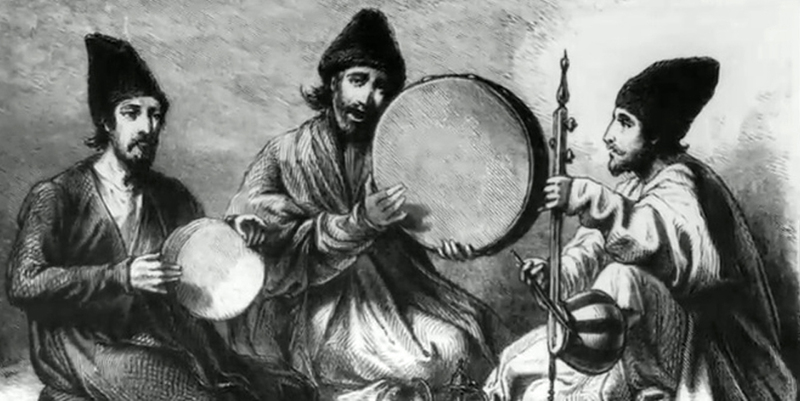 It’s been the musical act in Iraq, Iran and all the [former] Soviet Republics of Central Asia as far as China. What the Orient needs is an era of Renaissance and Enlightenment – something that the Occident intentionally obstructs for its own interests. These interests, I’m afraid, have been served, consciously or not, by those Western theoreticians who can’t see the forest for the trees (or, if you like, focus on the finger and can’t see it’s pointing to the moon), focusing on the secondary – the local differences in music – and minimizing the primary – its common features. The classic recipe: Divide et impera! IT ALL STARTED HERE: in the Mediterranean. 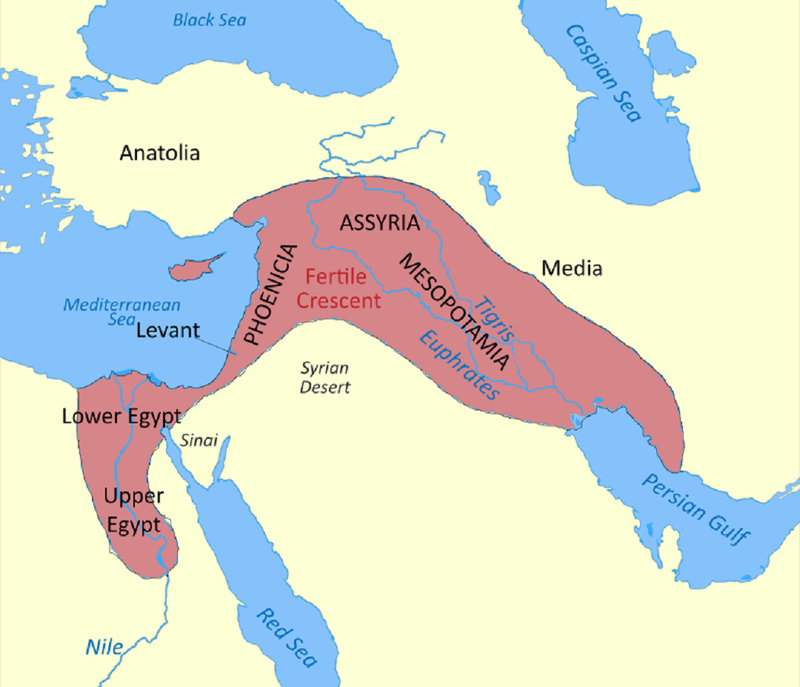 ALTHOUGH BORN in Africa, man was civilized around the Mediterranean, more specifically, in the Near East, in the arc formed by Mesopotamia, the Levant (Syria, Lebanon, Palestine) and the Nile valley in Egypt, also extending to Cyprus and Anatolia, as far as the Taurus Mountains: it is the so-called Fertile Crescent. 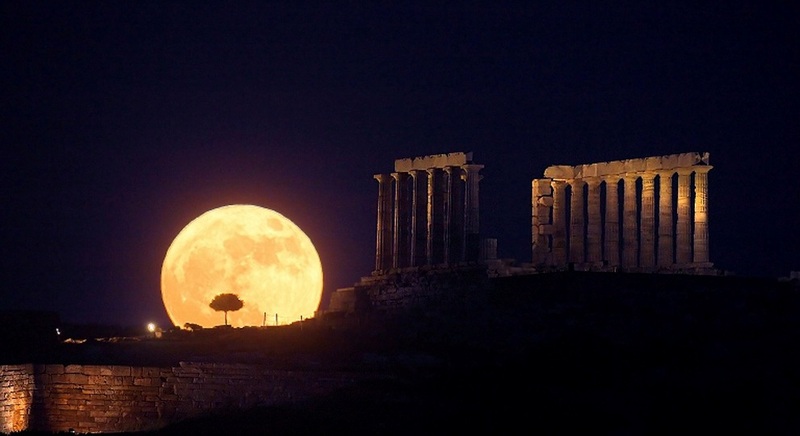 Man made the first giant leap here with the Neolithic agricultural revolution. It took millennia until something similar happened again, with the industrial revolution that began in England in the 18th century. (a) That sexual division of labour explains numerous differences in mentality between sexes that still characterize them, causing misunderstandings in their relationships. As we know, a farmer is much more bound to the land than a hunter-gatherer or a pastoralist. 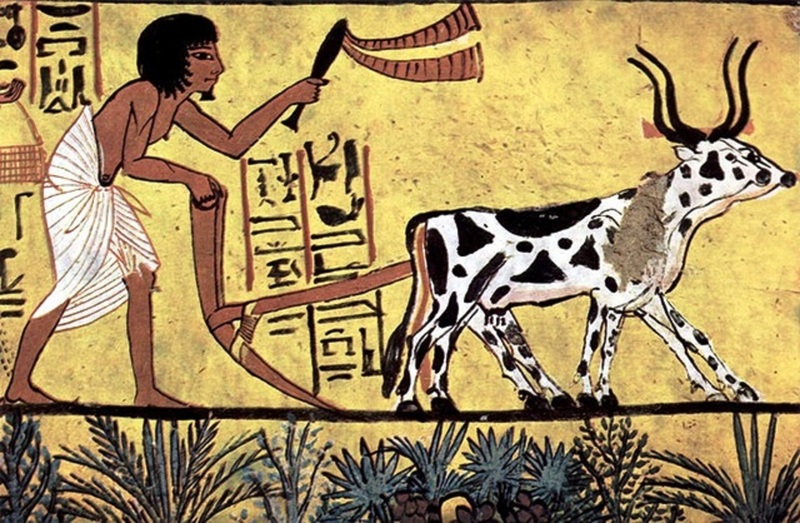 Thus, the transition to farming led to the creation of permanent settlements that gradually grew: they became villages, some of them towns, or even cities. The latter – as the Hellenic and Latin words polis (πόλις) and civitas make clear – brought forth both politics and civilization. Man began his gradual transformation into what Aristotle would later call a “political animal”, identifying a new distinctive feature of Homo sapiens vis-à-vis the other animal species. that gradually grew: they became villages, towns, cities. The latter brought forth both politics and civilization. Cities require central authority and hierarchy, imposing monuments, division of labour, specialization. They necessitate the arts and crafts, architecture, pottery, commerce, metallurgy… The Mediterranean periplus began tentatively at that time, in parallel with the caravan routes along land roads which, nevertheless, remained dangerous. Consequently, so long as man familiarized himself with the sea, he’d rather sail than travel on land. It sounds a bit like an oxymoron that the liquid element is far more “solid” and safe, but that’s how it is. No need to say, the exchange of commercial goods is accompanied with the exchange of ideas, aesthetic patterns, intellectual “goods”, innovations. In this way, the new way of life spread rapidly inside and outside the Mediterranean basin, reaching eastwards as far as the Indian subcontinent and beyond: the Indo-Mediterranean contacts date back to at least the third millennium BCE, or even earlier. The exchange of commercial goods is accompanied with the exchange of ideas, aesthetic patterns, intellectual “goods”, innovations. The conditions were already ripe for the next colossal step: writing. 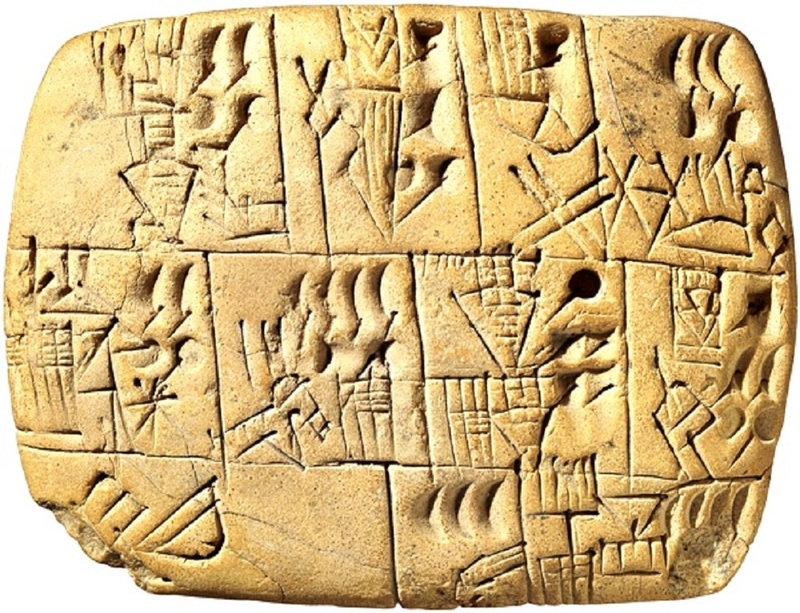 Even though the reasons for this great innovation were initially… bureaucratic (administrative record keeping, transfer of orders and messages), the invention and subsequent simplification of writing with the alphabet was indispensable as a condition for the systematic transfer of knowledge between generations and, of course, for the cultivation of literature and the arts – fields where the Greeks excelled. One of the several historical oxymora in this period e.g. concerns the differences between the Aegean and the Orient in their political structures. The decentralized Greek city-states that flourished in the Iron Age, i.e. 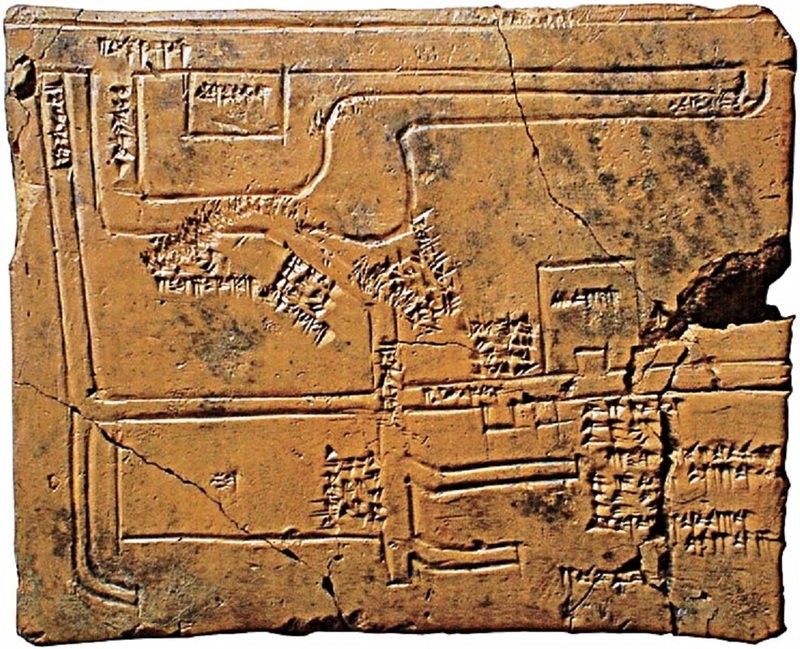 in classical times, had few Oriental equivalents: the Sumerian and Phoenician cities. 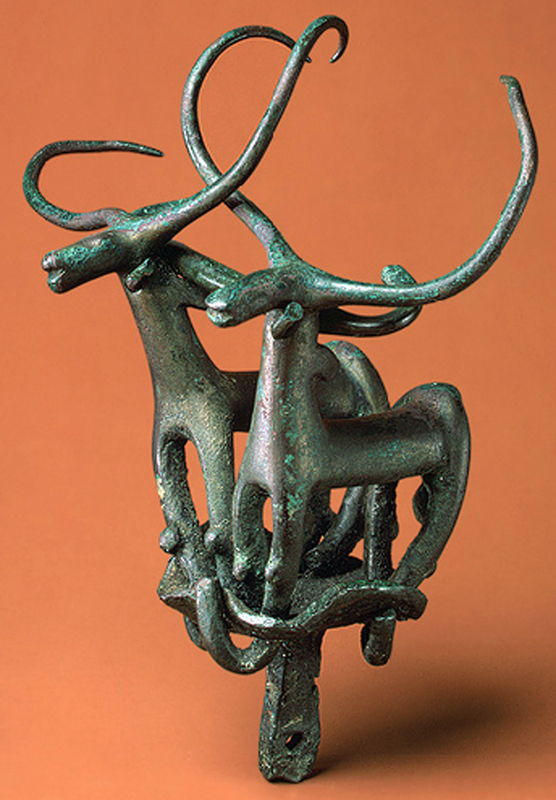 On the contrary, the prevailing state entities in the East were centralized empires of both the Bronze and Iron Ages. Despite that, the mighty Achaemenid Empire was repeatedly defeated and humiliated by the “Amphictyony” of the Hellenes – except the… Thebans and several other “Quislings”, the so-called medísantes (μηδίσαντες): all those who surrendered to the Persians-Medes and fought on their side. In the Year 200 B.C. was not to be taken very seriously. That’s certainly one point of view. Quite understandable. it set out for victory from Arbela, and was wiped out. the great new Hellenic world. which we carried as far as Bactria, as far as the Indians. But why “In the Year 200 B.C.”? Why Cavafy alludes in his title to such a later date? We ignore the poet’s intention… That year, however, the 2nd Macedonian War broke out ending three years later with Rome’s victory over Macedon. It was the beginning of the end because since then Greece fell under full Roman control. Expanding his presence in an environment of rather great contrasts, which would be barren without the Nile, Tigris and Euphrates, with the waters in abundance but also with floods and cataclysms lurking, the Easterner realized the need for coordination of the efforts of all communities. Next to deserts, symbolizing the constantly present, absolute evil, these rivers were a blessing from heaven but had unpredictable behaviour: thus, they should be tamed. Major public works, especially for irrigation and drainage, were a prerequisite for human survival; commerce, as well, for the supply of the communities with absolutely necessary raw materials, or luxury goods. No need to say, these two networks, irrigation and also (state-controlled) trade, necessitated centralized power, which should inspire fear. Obviously, all those in power needed law-enforcement agencies: the army and clergy. They needed imposing, majestic palaces, monuments, temples. It is what Karl Marx called the “Asiatic mode of production”, and is the key to understand Oriental despotism. A by-product is the relative – or ostensible, as others say – stagnation, and even immobility that has characterized these societies for millennia until now. Irrigation and trade necessitated centralized power inspiring fear. Law-enforcement agencies, the army and clergy, were necessary. It was impossible for democracy to grow on Babylonian soil. Let us not forget, however, that these societies cultivated astronomy, geometry, mathematics – for the same reasons they invented writing; societies that created wonders, like the Hanging Gardens of Babylon – although hanging by a thread: the infrastructure that had made them great was also their Achilles’ heel. You can realize that with just a look at the ruins of Babylon conquered and pillaged by time. (b) It was absolutely impossible for democracy to grow on Babylonian soil. It is well known that American soldiers, as well as other personnel from the “Coalition of the willing” (invaders of Iraq, e.g. Poles, who were also stationed in Babylon), looted many antiquities that found their way to private collections. (c) I am still wondering: How is it possible for the transition from polytheism to monotheism to be thought of as progress when in reality it’s been regression? The Judaization of the Hellenistic and Roman worlds (in the Orient and Occident respectively) through Christianization was the sine qua non of obscurantism during the Dark Ages. Leda and the Swan (Zeus), by Correggio (1531–32), with children musicians on the left. No comparison whatsoever with the Olympians who were full of shortcomings; that is, they were human, made in the image of the mortals that had created them, the Greeks, their way of life, their society – or, rather: societies, for Hellas, its topography, generated decentralization. The land was most beautiful, indeed, but not a paradise on earth. Living standards could improve through conquest, but also through expansion, colonization. Either way, each option contributed to an even greater decentralization.